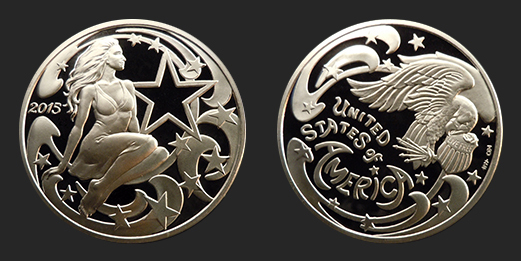 “LIBERTY’S BEAUTY” MEDAL Designed 2015/Minted 2015 Designed by Gary Marks Sculpted by Heidi Wastweet Assay: One Ounce .999 Fine Silver 39 mm Round Theme: American Liberty; this is the second annual issue to my series of Liberty themed art medals. 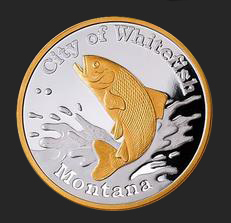 The first issue was the 2014 “Liberty’s Glory” medal. For the eyes of the human soul, liberty is beautiful; thus “Liberty’s Beauty”. This medal is a tribute to my favorite art nouveau master, Alphonse Mucha, and the combat aircraft artists of World War II. 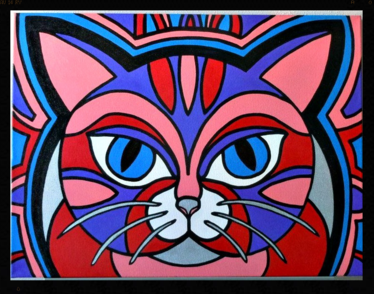 However, some have said they see a Peter Max influence, especially on the reverse (tails side). Obverse (Heads): Portrays Lady Liberty in a seated position. Reverse (Tails): An American Bald Eagle representing “Strength” and “Freedom”. 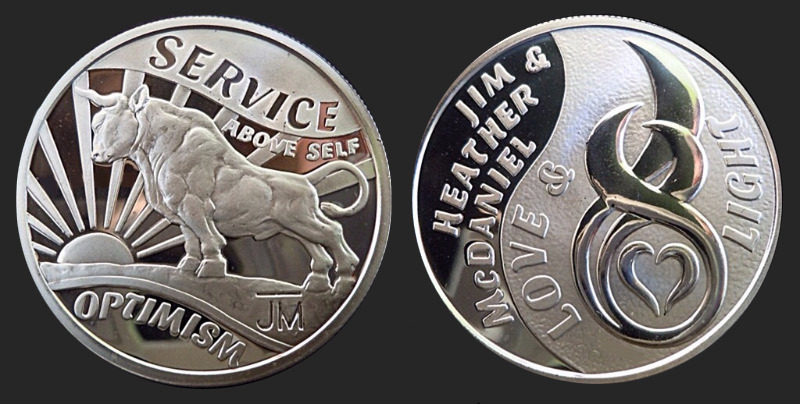 “McDANIEL MEDAL OF SERVICE AND OPTIMISM” Designed 2015/Minted 2015 Designed by Gary Marks Sculpted by Heidi Wastweet Assay: One Ounce .999 Fine Silver 39 mm Theme: Jim and Heather McDaniel of Lebanon, Oregon Obverse (Heads): The bull represents strength of character. “SERVICE ABOVE SELF” is positioned “above”. 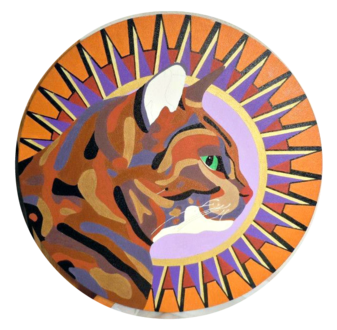 The design is “grounded” in “OPTIMISM” and the rising sun represents the belief that the future is an opportunity to spread love and light. 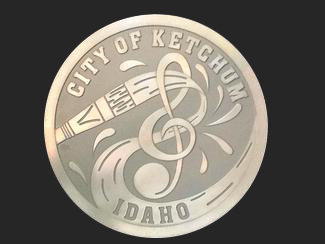 I designed this coin for my friends, Jim and Heather McDaniel, as a representation of their lives. It was an honor to create this piece as a celebration of this special couple. 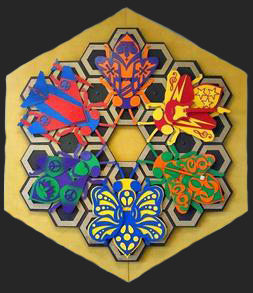 Reverse (Tails): This design honors the love and light the McDaniel’s continuously convey to others. 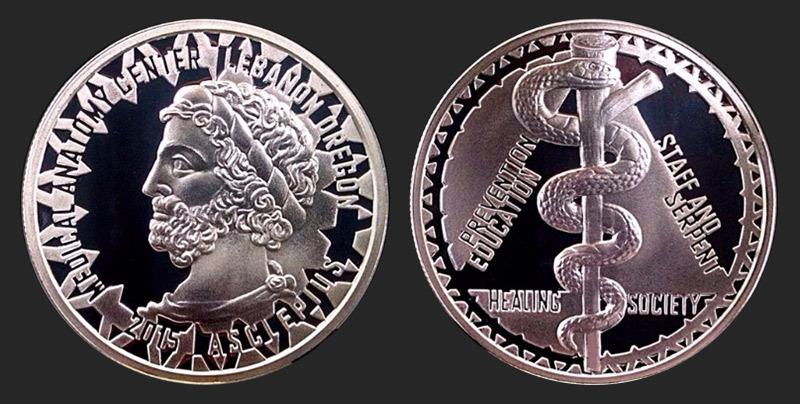 “PHYSICIANS’ MEDAL OF ASCLEPIUS” Designed 2014/Minted 2015 Designed by Gary Marks Sculpted by Heidi Wastweet Assay: Minted in three metals; One Ounce .999 Fine Silver; One and One Half Ounce .999 Fine Gold; One and One Half Ounce .999 Fine Platinum 39 mm (all metal varieties) Theme: Medical Anatomy Center, COMP-NW, Lebanon, Oregon Obverse (Heads): Bust of Asclepius, Greek god of medicine and healing. Reverse (Tails): Features the staff and healing serpent of Asclepius. 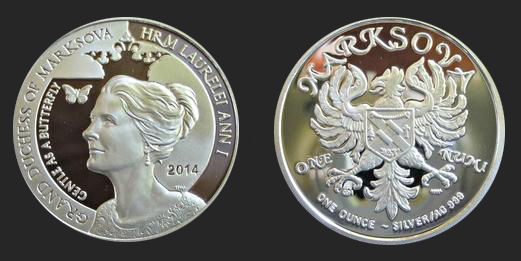 “DUCHESS OF MARKSOVA” COIN Designed 2013/Minted 2014 Obverse designed by Heidi Wastweet Reverse designed by Gary Marks Sculpted by Heidi Wastweet Assay: One Ounce .999 Fine Silver 39 mm Theme: Honors the Grand Duchess of Marksova, monarch of an emblematic nation, who reigns in the heart of the man who commissioned this coin. Obverse (Heads): Honors the beloved Grand Duchess of Marksova, Her Royal Majesty Laurelei Ann I. The butterfly image is reflective of the line, “As gentle as a butterfly she moves without a sound” from the 1975 Styx song, “Lorelei”. Reverse (Tails): The heraldic eagle of the Grand Duchy of Marksova; a very small nation that cannot be found on a map. 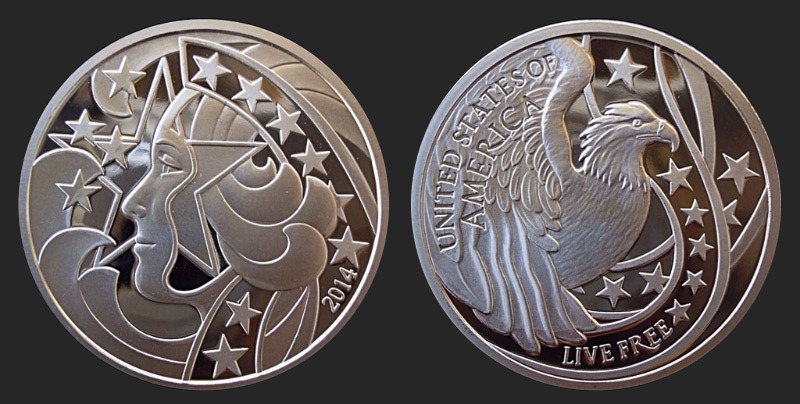 “LIBERTY’S GLORY” Designed 2013/Minted 2014 Designed by Gary Marks Sculpted by Heidi Wastweet Assay: One Ounce .999 Fine Silver 39 mm Round Theme: American Liberty; this is the first annual issue to my series of Liberty-themed art medals. 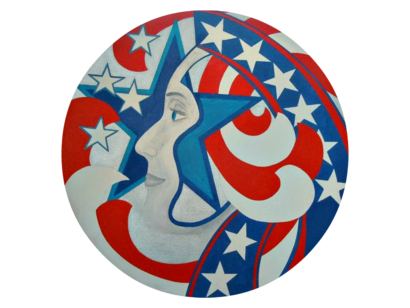 Obverse (Heads): Lady Liberty (from my painting of the same name). Reverse (Tails): An American Bald Eagle which, in the iconology of American coinage, represents “Freedom”. 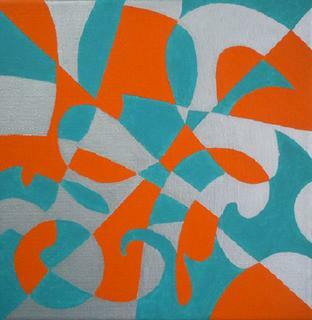 “SPONTANEOUS” (2011) Oil on Canvas 9″ x 9″ “It was the wee hours of the morning. And this silly, small canvas was sitting on my paint table. And it was blank. The artist in me heard it. It was calling, “paint me, paint me”. I swear I heard it. But I didn’t know what to paint. No subject came to mind. And then I told myself, “It doesn’t need a subject; trust yourself and just paint”. I suppose the result might reveal some deep secret about my strange psyche. I don’t know. All I know is that it was SPONTANEOUS”. 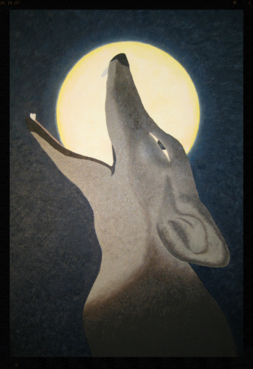 CRY OF THE COYOTE (2010) Oil on Canvas 24″ x 36″ “This is my first painting…ever. 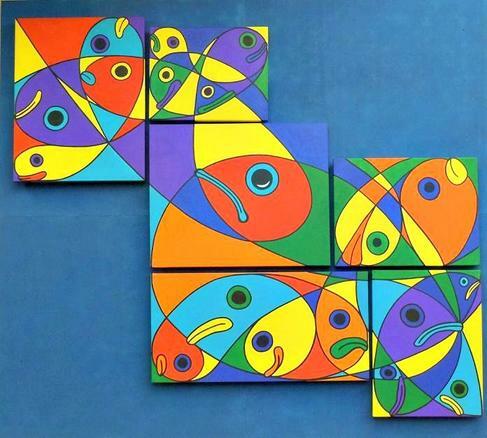 After feeling the urge to paint and repressing it I finally picked up a paint brush in 2010 and started painting. I have no art training and did not know what I was doing. 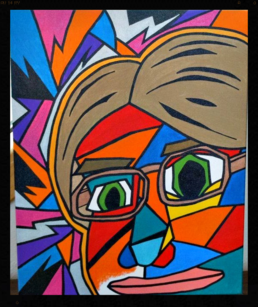 So, I simply painted what I felt. As a first effort, I feel it is not my best work. 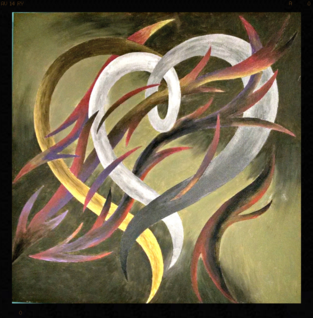 Nonetheless, this painting is a celebration and it has great meaning to me. 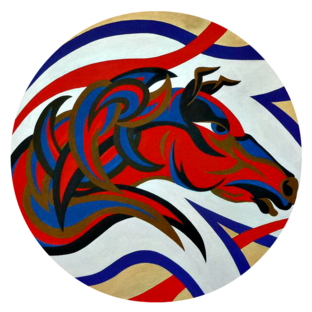 Just as the coyote is free to cry at the moon; I was finally free to paint”!